In order to test the functionality of our product we have made available a computer with a version of Rhinoceros3D and EasyJewels3D which can be accessed online via a remote control software. This service is now by appointment by contacting assistenza.easyjewels3d@gmail.com. 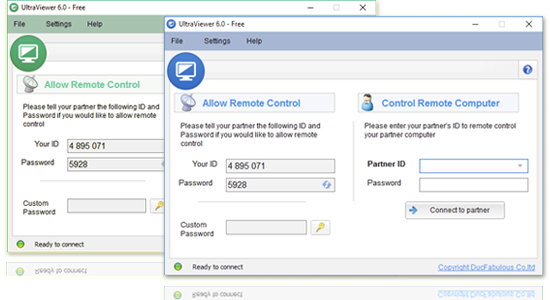 To continue this experience it is necessary to download and install a third-party remote control software. No data will be collected by EasyJewels3D and Caronte Project that are not responsible for what could happen with an incorrect or illegitimate use of this software. 1- Download the UltraViewer software from the owner site. 3- Access the EasyJewels3D test by entering “11548584” Remote ID and “demo2” Password as shown in the picture. 4- Click on “Connect to Partner” and wait for the connection. Once the connection is established, you will have 1 hour to test EasyJewels3D. A timer will keep you updated on the time available to you. After 1 hour you will be automatically disconnected. File transfer is not supported.